This is a tool that allows the user to send ‘US-ASCII’ text within a ‘User Datagram Protocol’ (UDP) packet on top of ‘Internet Protocol’ (IP). UDP Sender is licensed under a ‘ Creative Commons Attribution-NonCommercial-ShareAlike 3.0 Unported License‘ and can be downloaded from ‘here‘. The source code including Netbeans ‘form’ file is available from ‘here‘. You need the Java Runtime version 6 or above to run and to have the ‘Nimbus’ look and feel, release 10+. Enter a message, a receiver IP address then you can either enter any given port and click on ‘Send UDP’ or just click on ‘Send italk’ to send on port 12345. 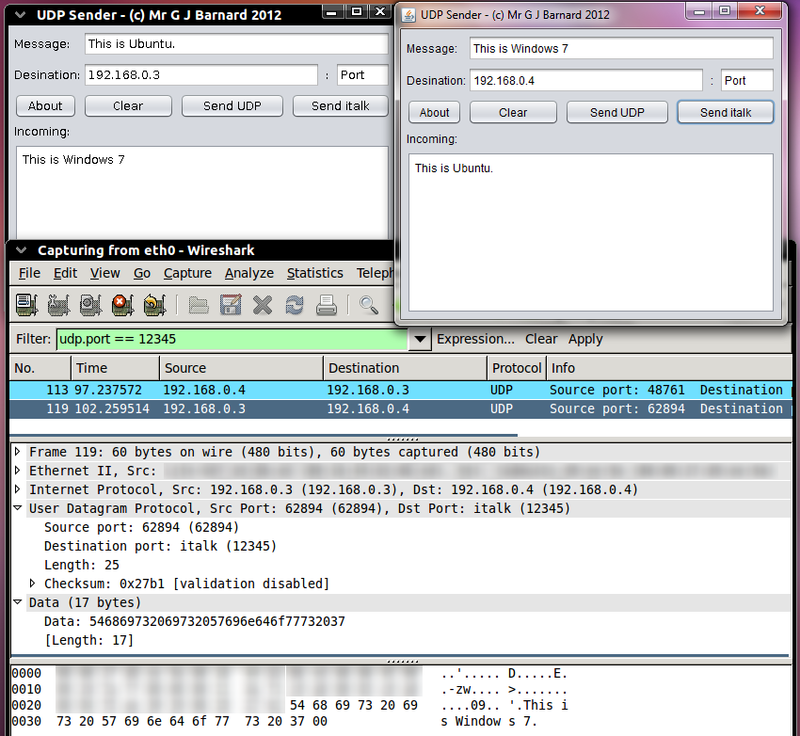 To be able to received messages you can either have UDP Sender running on the target machine (it automatically listens on port 12345) or another program that can decode UDP packets. There is currently no way of changing the receiving port.